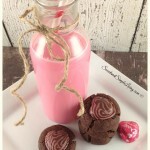 I hope you love this Simple Strawberry Fudge as much as we do! I know this is going to be hard to believe…but we made this with only 2 ingredients. Shocking, right?? 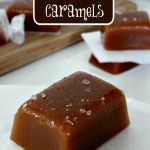 Now, when you see how we made this you will realize just how easy it is to make and then you’ll realize that the flavor possibilities go on and on! The key ingredient in this fudge is frosting. 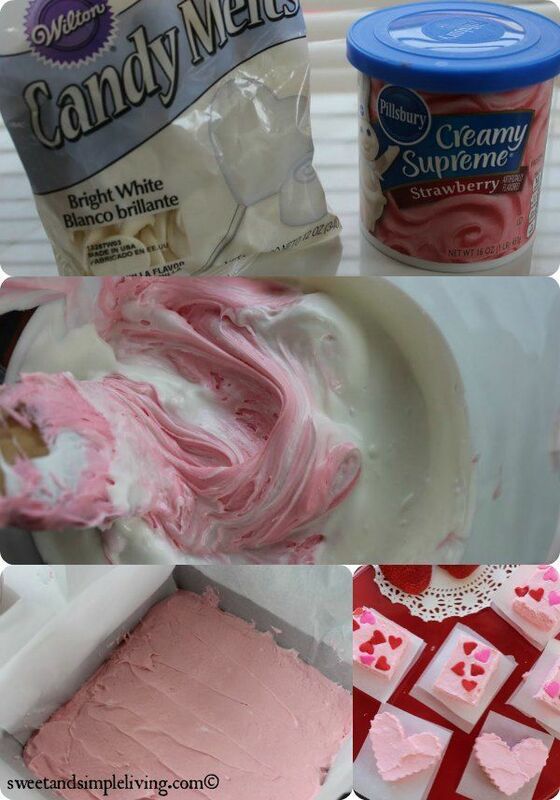 So basically, any flavor of frosting that you can get your hands on, you can now make into fudge. Fudge can be a tricky thing, and time after time I’ve seen people say it just never turns out right. The weather has to be right, it can’t be raining, it can’t be too hot, on and on. 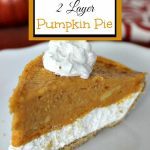 Well, this easy recipe will throw all of that out the window! 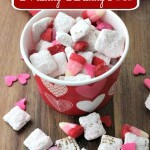 1 (12oz) bag of white chocolate - We like to use the candy melts, but you can use the bars too. 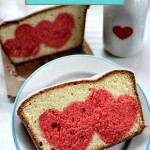 Line an 8x8 baking pan with parchment paper or spray with non-stick cooking spray. Place the white chocolate in a medium, microwave safe bowl. Melt the chocolate in the microwave by cooking in 30 second intervals, stirring after each time. Continue to cook 30 seconds at a time until chocolate is melted and smooth. Once chocolate is all melted, stir in frosting immediately and mix well. Pour mixture into baking pan and spread out evenly. If using decorations, sprinkle on top and gently press into fudge with a spoon or spatula. Place fudge in the refrigerator for at least 30 minutes to set. "cook" time is cooling time. 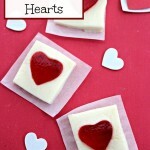 After our Simple Strawberry Fudge was set, we pulled the parchment paper out and cut some of it into hearts using cookie cutters. 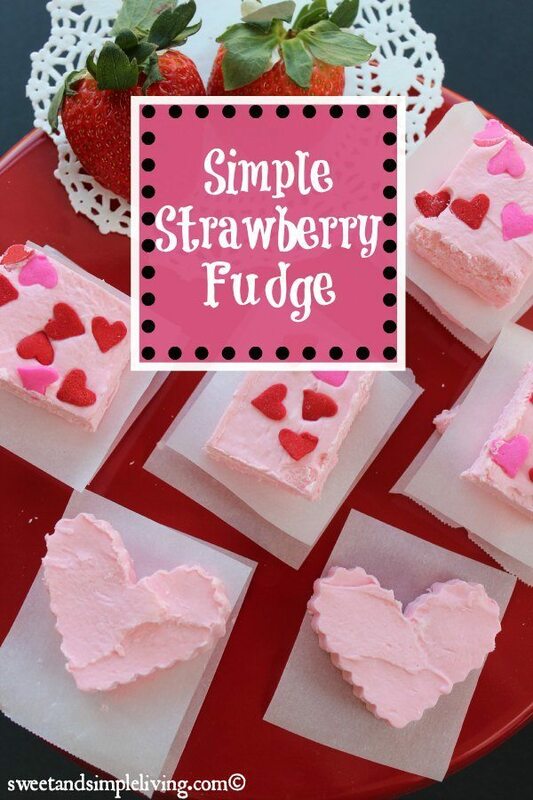 Since we made this Simple Strawberry Fudge so close to Valentine’s Day, we also added some Valentine’s sprinkles. But that is totally optional, and this recipe is great for any day of the year. Using sprinkles and cookie cutters opens up all kinds of possibilities for this fudge on holidays! 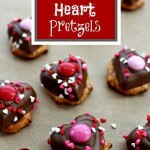 This recipe was super easy and I can’t wait to try it with different flavors and see how creative I can get with this. 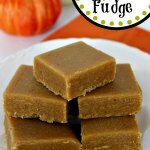 For more easy fudge recipes, check out this Easy Fudge Cookbook! The Kindle version is only $.99! !